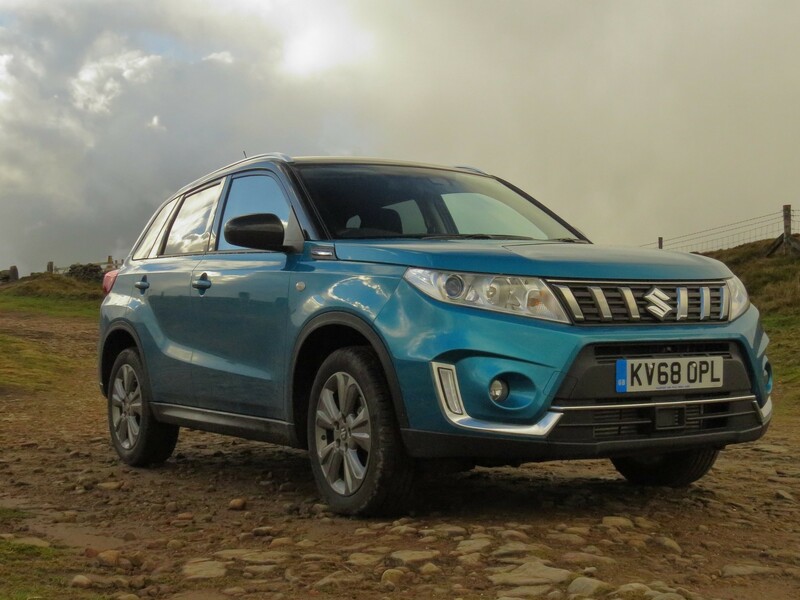 OUTWARDLY, the latest Suzuki Vitara hasn’t had to change a great deal from the previous one and that’s mostly because people like it very much, thank you. 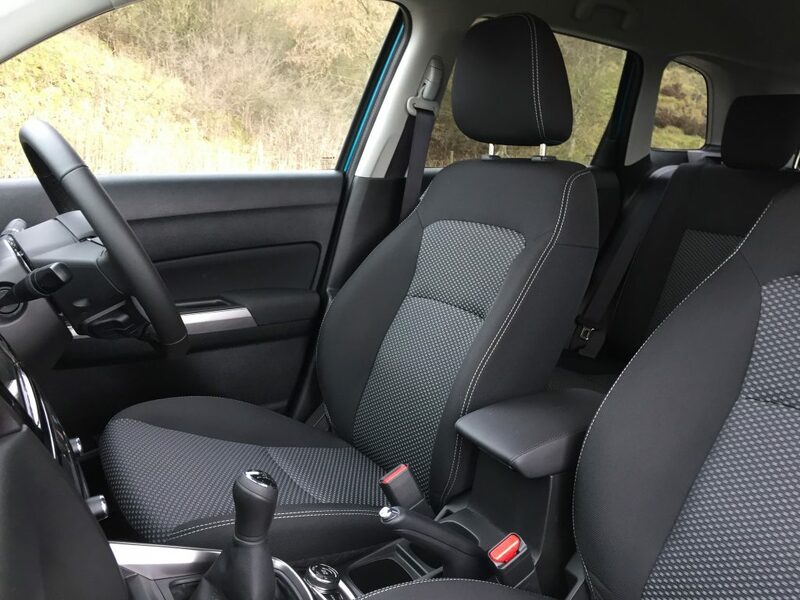 But the Japanese manufacturer have never been one for letting the grass grow beneath its wheels – and with the likes of the SEAT Arona, Kia Stonic and Hyundai Kona being available with small, frugal petrol engines, Suzuki have very wisely upgraded the Vitara’s powerplant as well as its interior in this new, face-lifted model. 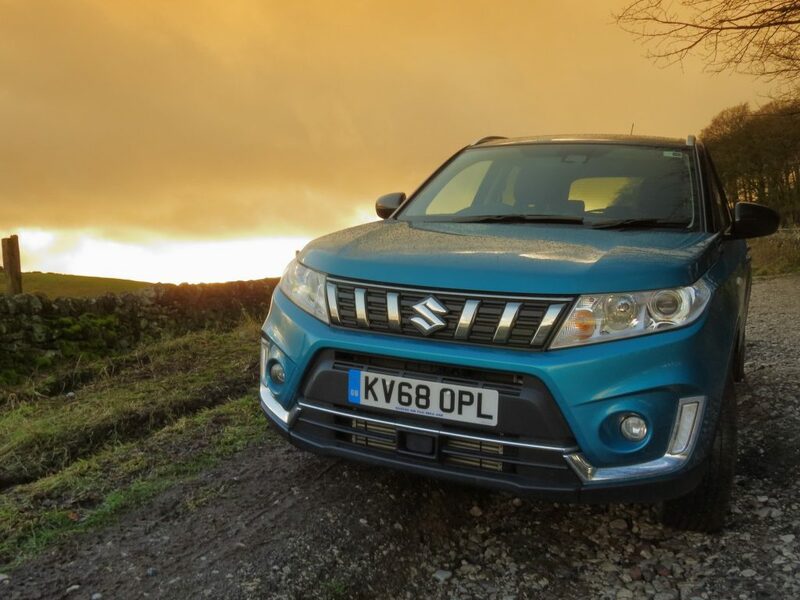 Out goes the diesel altogether and the old 1.6 naturally-aspirated petrol unit has been replaced with a choice of either a new 1.0-litre, 3-cylinder Boosterjet unit or the 1.4-litre, 4-cylinder Boosterjet unit available previously on the sporty Vitara S model. The few cosmetic changes made include a new, more elegant front face with a redesigned grille and lower bumper. The rear lamps have also been redesigned with a distinctive LED display. 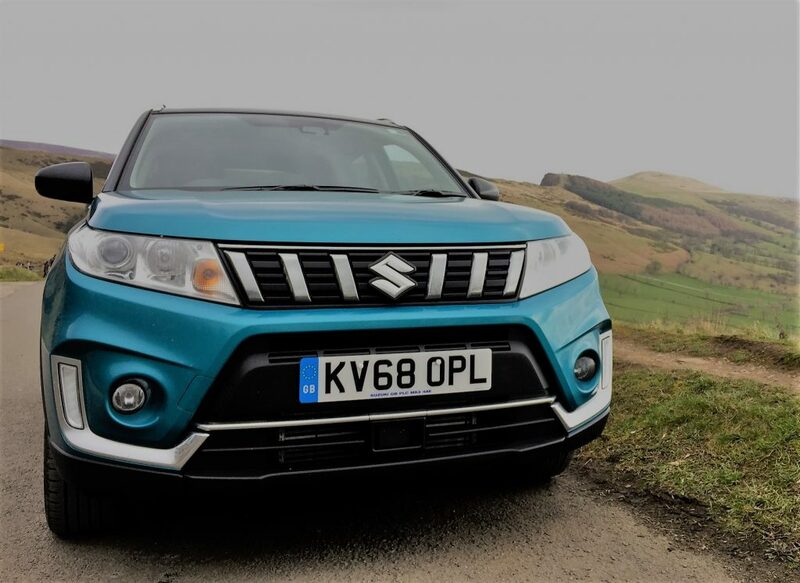 There are also some new colour combinations that should allow your Vitara to stand out from the crossover crowd with two new dual-tone colours which are Solar Yellow Pearl and Ice Greyish Blue. A total of 11 different shades are available in the range. 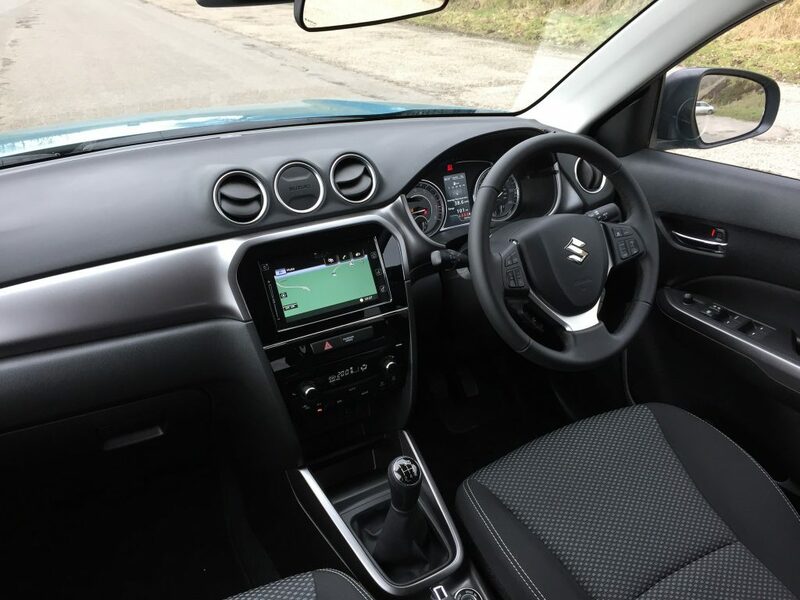 Prices start from just £16,999 OTR and trim-levels are the familiar SZ4, SZ-T and SZ5 with Suzuki’s excellent ALLGRIP 4-wheel-drive system being available on the 1.0-litre SZ-T and above. 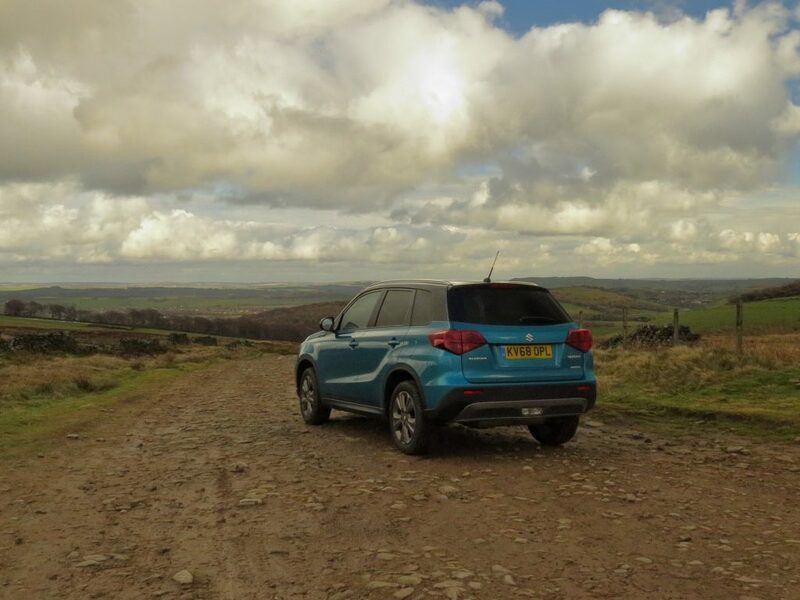 If you’re thinking “Hmm, 4×4 capability can’t be much with a 1.0-litre engine”, then think again because I’ve been driving the 1.0-litre SZ-T off-road and it handled everything I threw at it without a care. 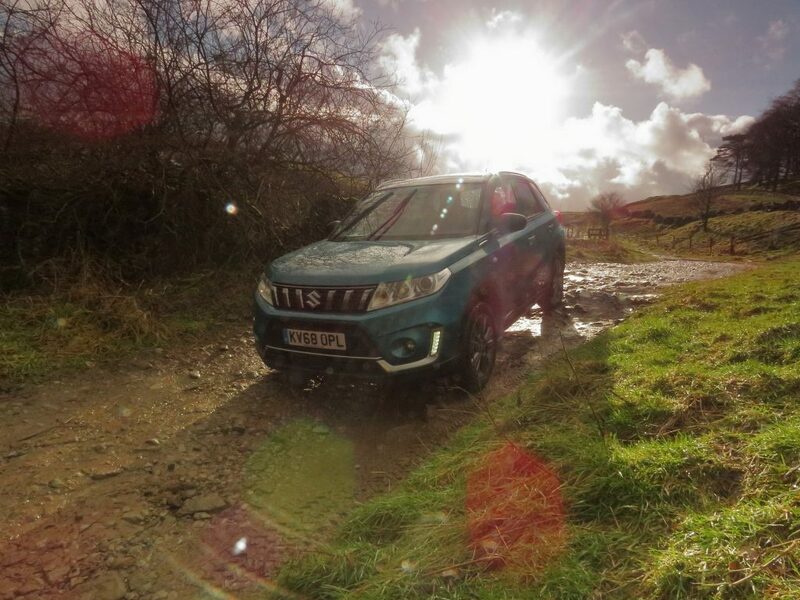 This is largely due to the fact that the Vitara has good clearance compared to most of its rivals and is clearly designed with muddy frolics in mind rather than being just another ramped-up hatchback. 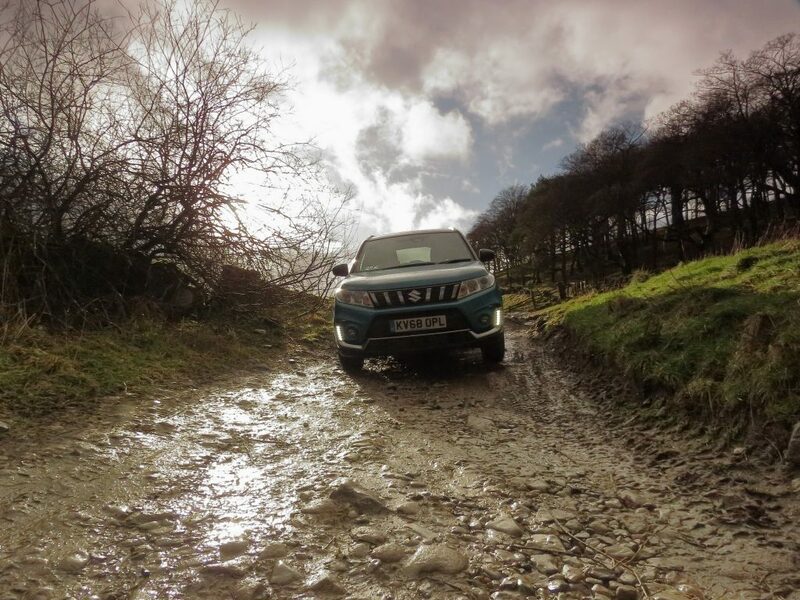 However, you and I know that 99% of Vitaras will never see a muddy field and I expect that most models sold will be front-wheel drive. 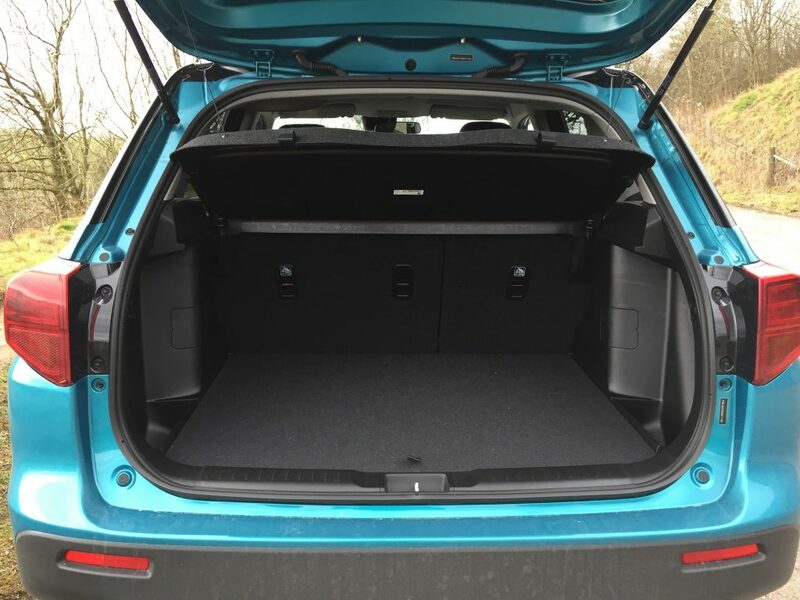 But if all-wheel-drive capability and the extra security this provides is a must for you, then you really can’t go wrong with an ALLGRIP model that can be had in SZ-T trim for less than £21,000 OTR. The 1.0-litre Boosterjet engine is little cracker which makes 170Nm of torque – which is more than the previous 1.6 engine. 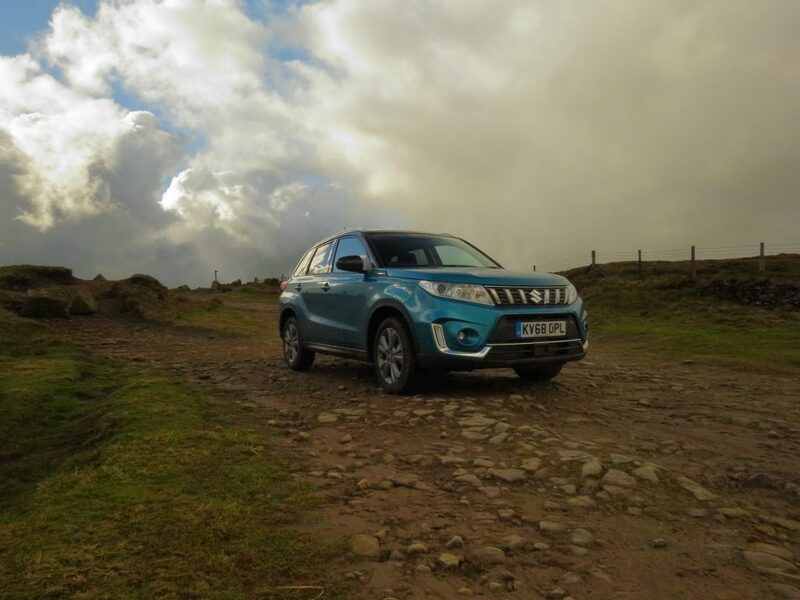 It also produces that power from a lowly 2,000-3,500 revs so you’ll find the new Vitara more eager as well as needing less gear-shifts. 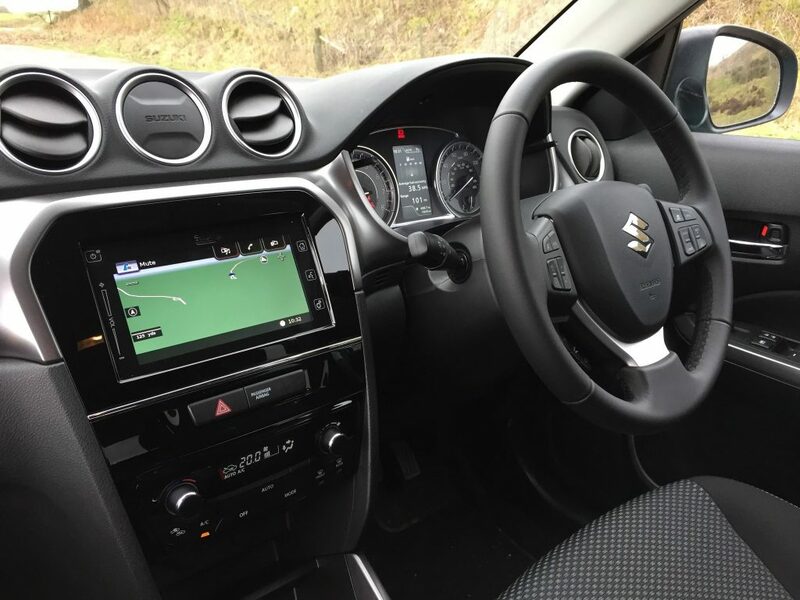 In fact, it was so eager I must confess to calling the Suzuki PR team to check that they had provided me with the 1.0-litre engine (as requested) and not the 1.4-litre by mistake. There was no mistake, of course . . . The 1.0-litre, 3-cylinder engine makes 111 PS and takes 12 seconds to reach 62 mph in AWD format – 11.5 secs for the 2WD version. 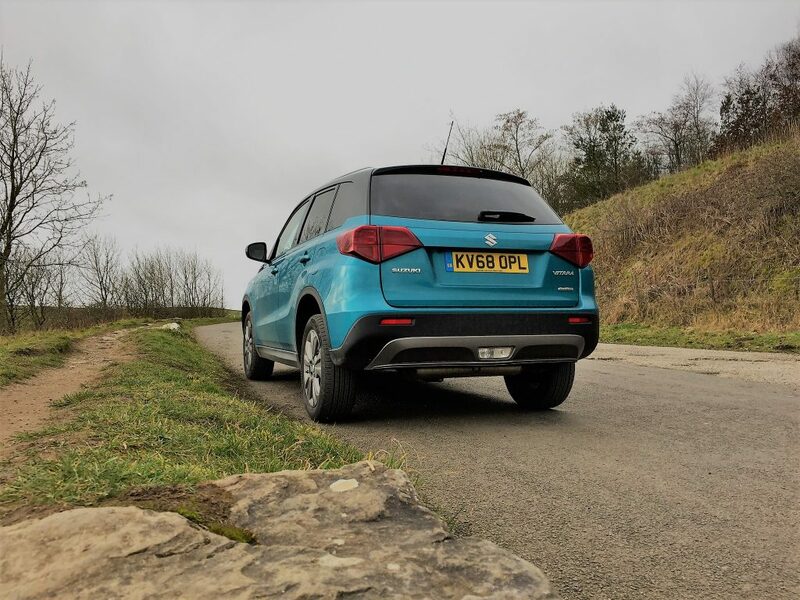 It feels around 3 seconds quicker than that though and I can only put this down to the free-reviness of the engine and the fact that overall the Vitara feels . . . well, fun. The 1.4 engine provides 140 PS and 0-62 mph takes 9.5 seconds in 2WD and 10.2 secs with AWD fitted. 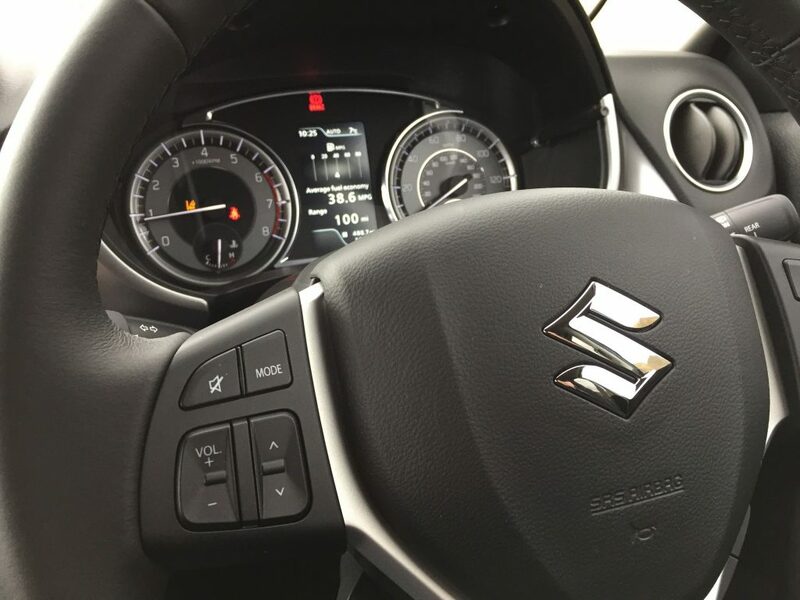 A 5-speed manual gearbox comes as standard on the 1.0-litre models and a 6-speed on the 1.4 models but a 6-speed automatic gearbox can be specified, to go with either engine, on SZ-T models and above. 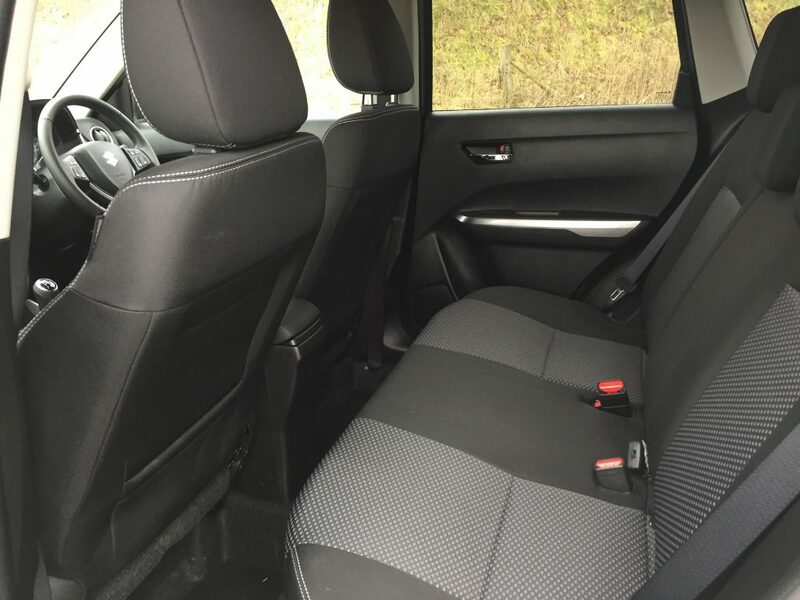 But it’s inside the 2019 Vitara where you’ll notice the biggest changes with a new seat trim design for the range with suede seat fabric fitted on SZ5 models. 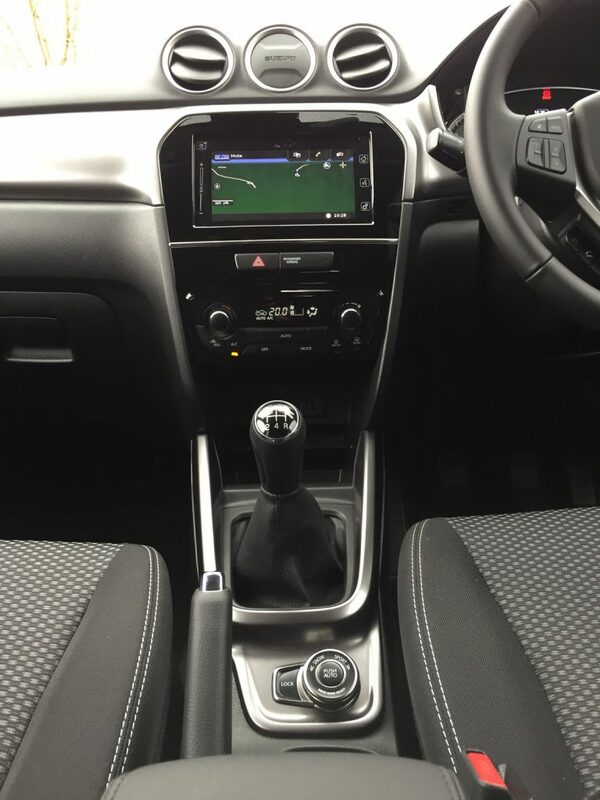 The upper instrument panel is upgraded to a soft-touch material and the instrument cluster now features a central colour information display. 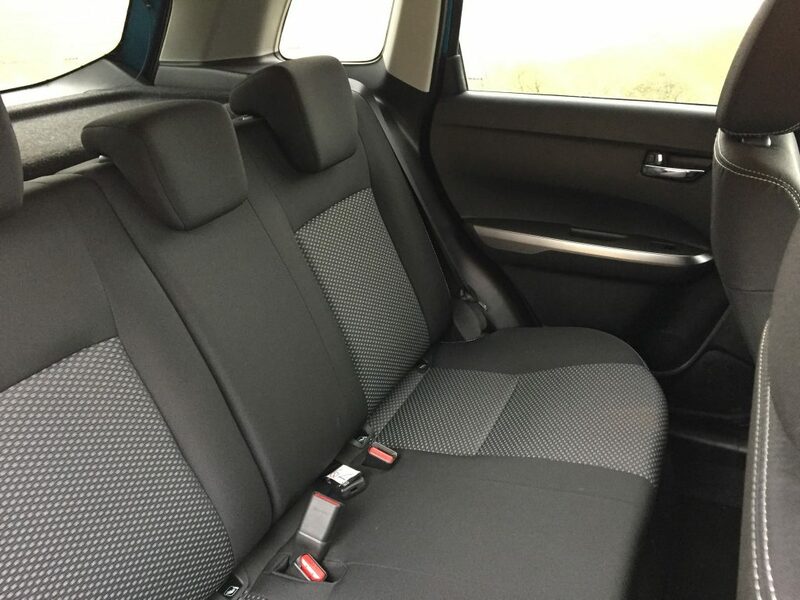 No, it still can’t compete with the likes of the VW T-Roc or SEAT Arona when it comes to quality of materials but you’re paying a lot less and still getting a very pleasant cabin that doesn’t simply feel “utilitarian”. 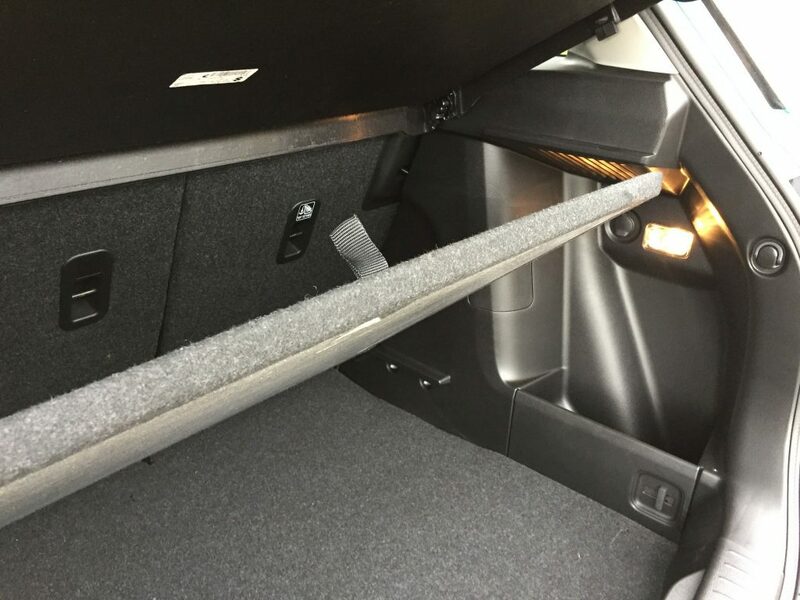 It’s actually a very nice place to sit with good visibility thanks to the raised ride height and a rear window that isn’t too sloped in design. 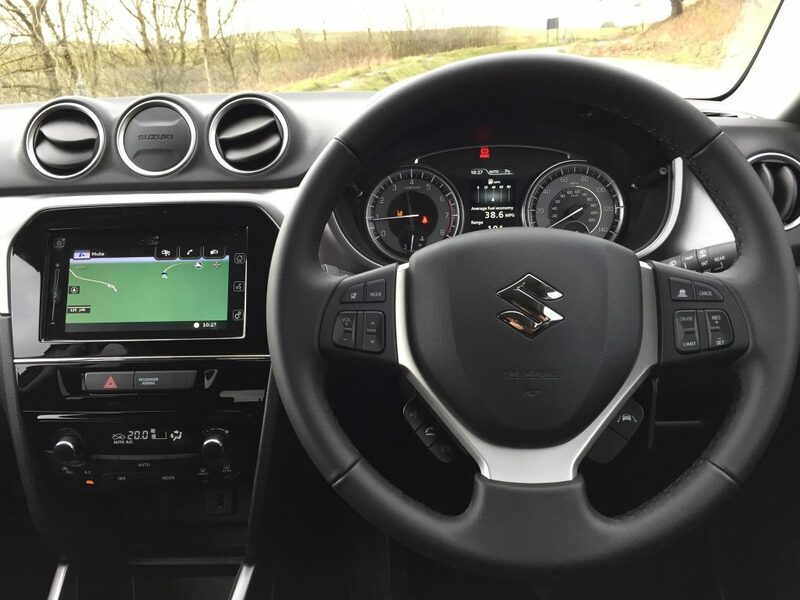 Seat and steering wheel adjustment mean you can find a comfortable driving position easily and I found the pedals perfectly placed – even in those awkward, rocky, off-road moments. 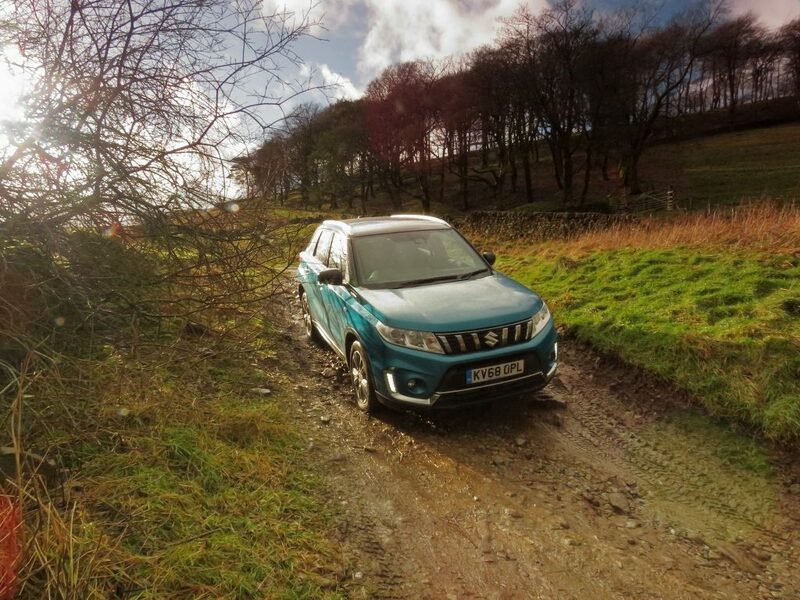 The ride itself is a little on the firm side for a small-to-mid-sized SUV but that’s no bad thing as it means the Vitara doesn’t wallow around the bends but it still manages to soak up the worst of our road’s pot-holes and other imperfections. 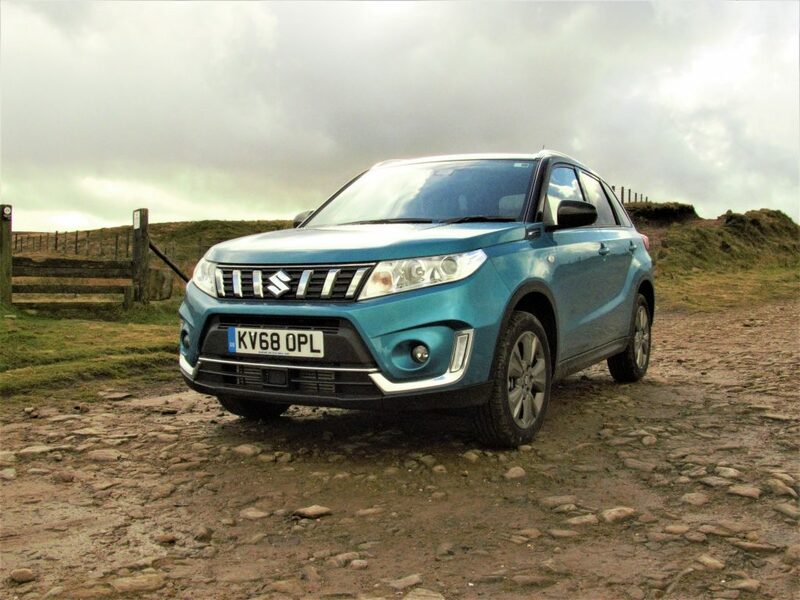 On the motorway the 3-cylinder has no problem at all keeping up with traffic and apart from some wind noise from around the wing-mirrors the Vitara is surprisingly quiet. 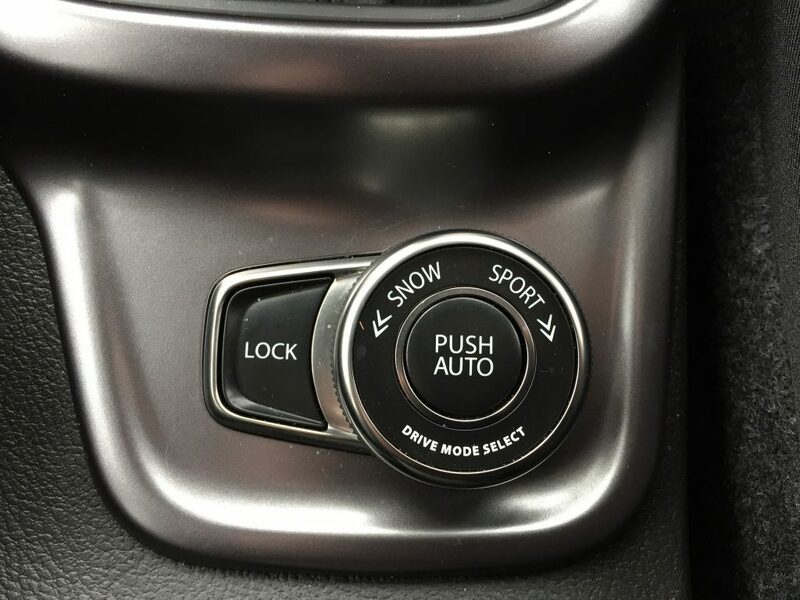 I found the 5-speed manual gearbox presented no problems at all and I’d recommend it over the 6-speed auto as you do lose some performance and economy with the latter. 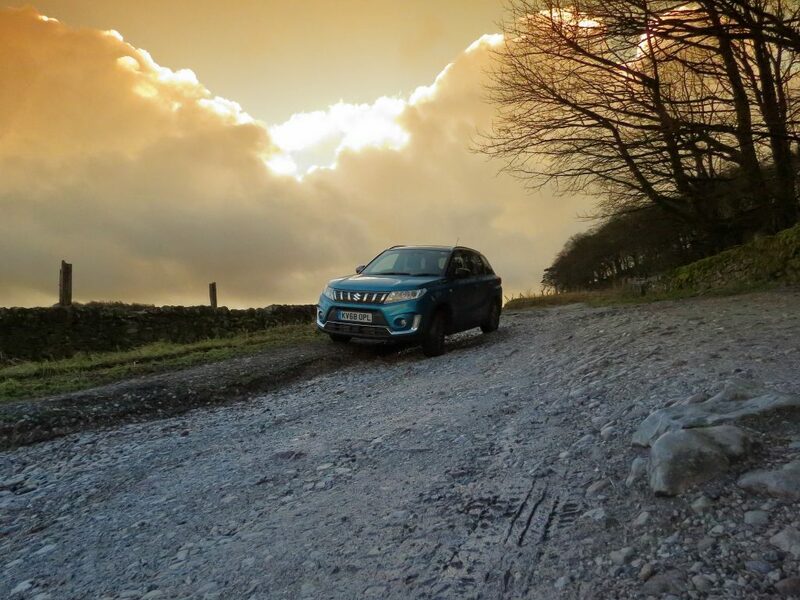 Despite the light steering feel I found the Vitara quite playful around twisty A and B-roads where I also had a play with the drive-mode settings. 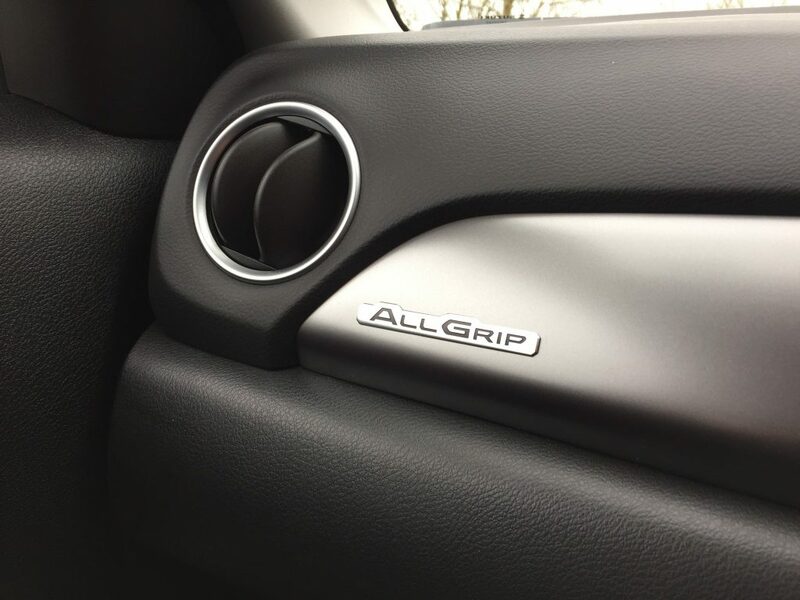 On ALLGRIP models you’ll find the rotary controller in the centre console gives you four modes: Auto – which will prioritise front-wheel drive for economy but will use 4WD if wheel-spin is detected; Sport – which will engage 4WD under harsher acceleration and is perfect for B-road blasts; Snow – which will provide crucial traction in mud or snowy conditions; and finally, at the push of a button, you can lock 4WD in permanently to get you out of the trickiest of conditions. 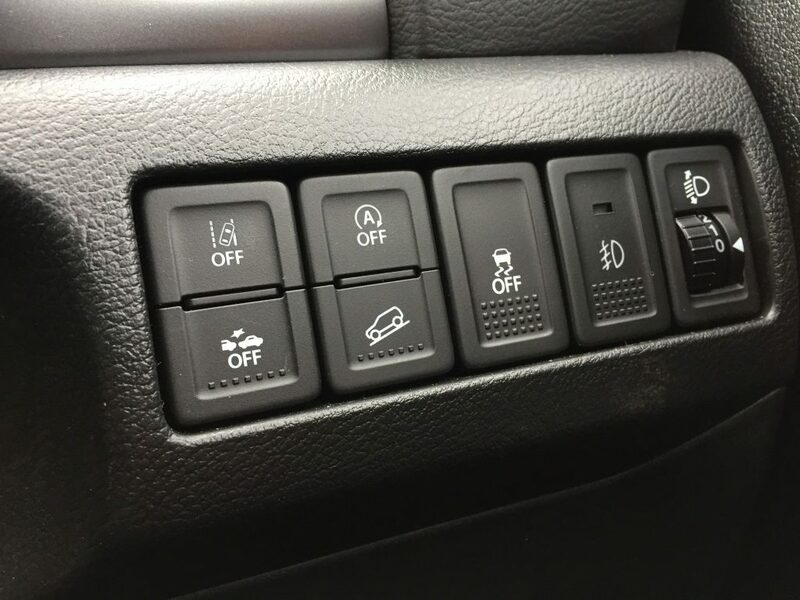 They work too; I’ve tried them all and my own personal preference for daily driving is Sport mode where the throttle is sharpened up and the 4WD provides a little extra grip when trapping-on a bit. 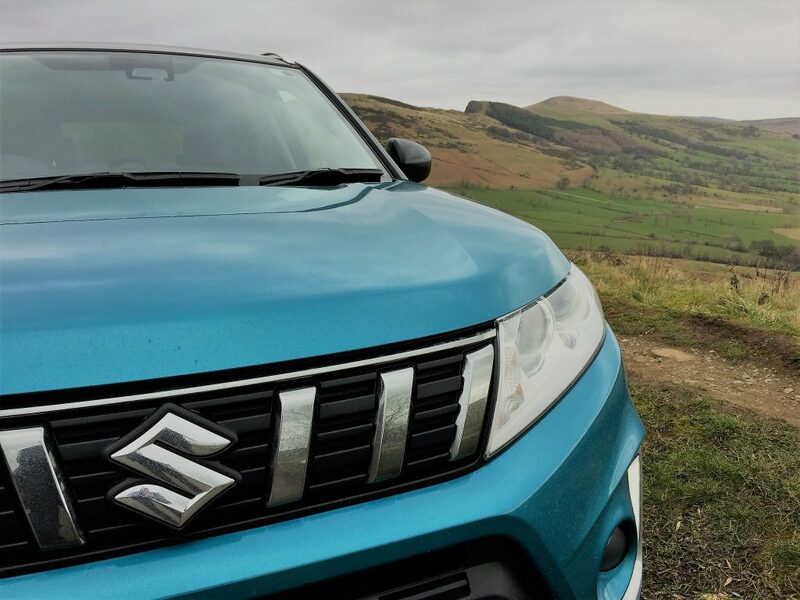 Overall the Vitara is much more fun to drive than most rivals with perhaps only the SEAT Arona being a tad better dynamically but the SEAT doesn’t have the Suzuki’s off-road capability. 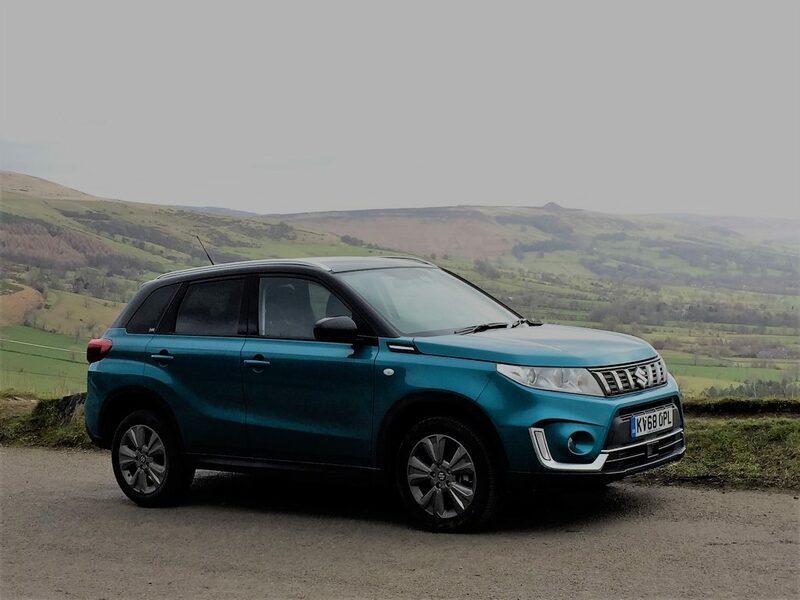 “Honest” is the word that springs to mind when describing any car from the Suzuki stable and the Vitara is a shining example of an honest motor. 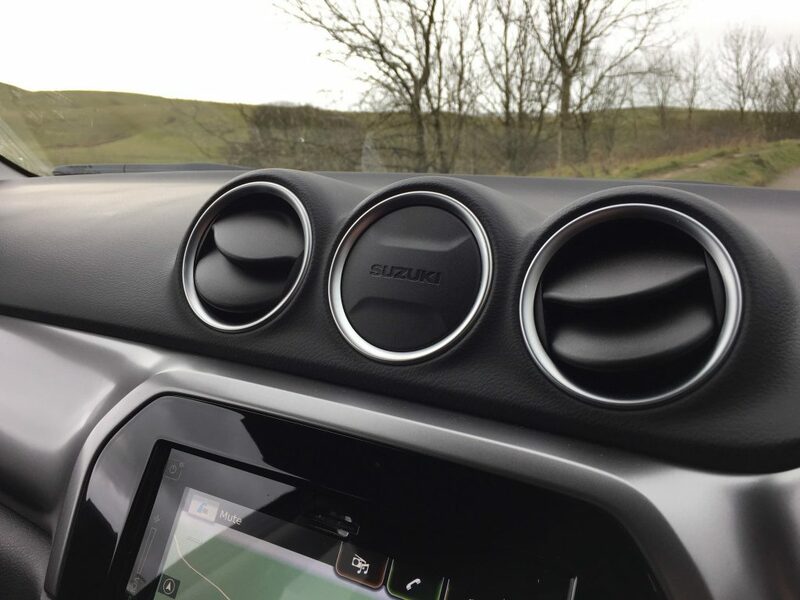 What it may lack in fancy interior materials it more than makes up for in practicality, value and the ability to put a smile on your face every time you drive it. 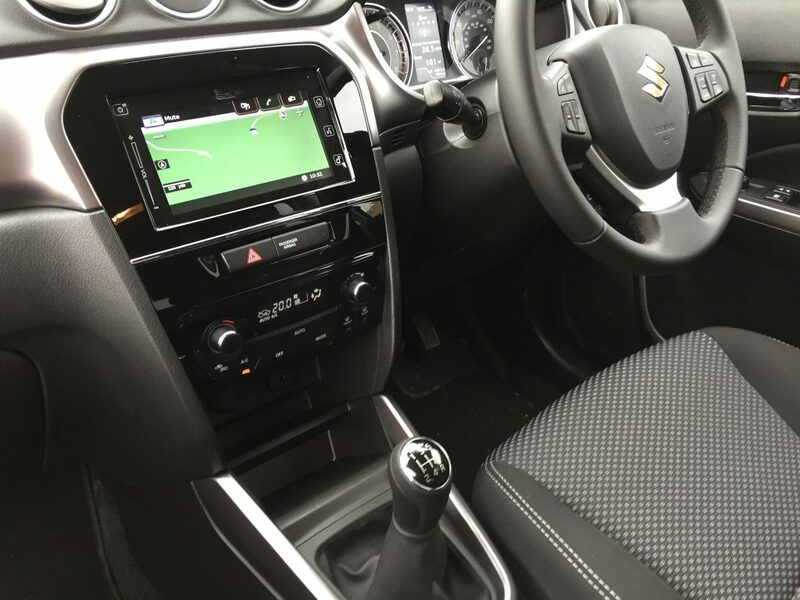 Suzuki don’t skimp on standard equipment either and even the entry-level SZ4 model includes seven airbags, 16in alloy wheels, USB and Bluetooth connectivity, cruise control with speed limiter, auto air conditioning and front and rear electric windows. SZ-T adds new design 17in silver painted alloy wheels, rear privacy glass, white stitching for seat trim fabric, Smartphone link (Apple CarPlay and Android Auto) as well as a navigation system. 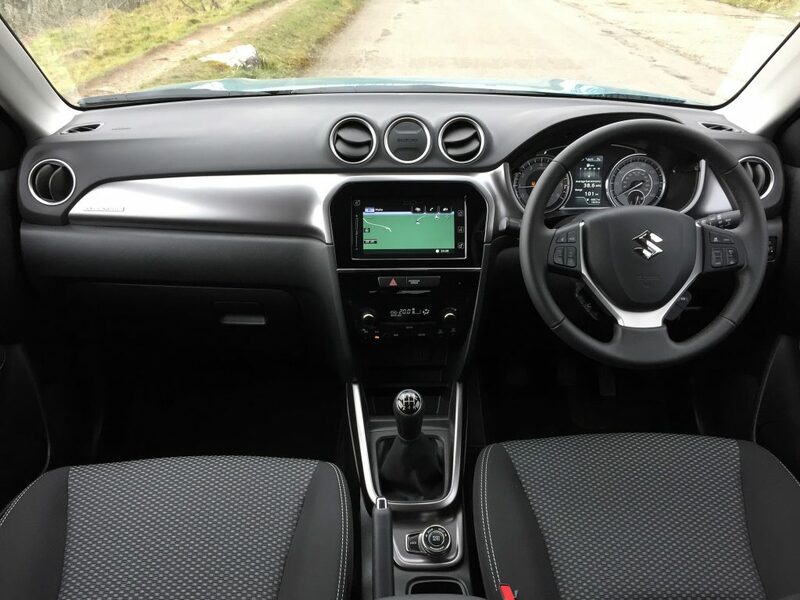 Moving up to SZ5 (from £22,499 OTR) adds LED Projector headlights, 17in polished alloy wheels, suede seat fabric, keyless entry with start button, Traffic Sign Recognition (also fitted on ALLGRIP models), blind spot monitor, Adaptive Cruise Control, Dual Sensor Brake Support and Panoramic sunroof. 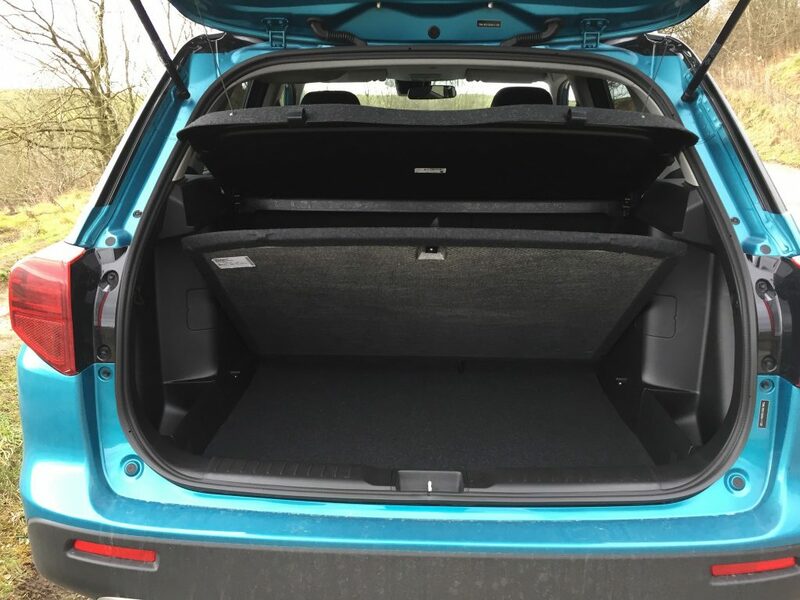 Although classed as a compact SUV the Vitara feels bigger too with plenty of leg and headroom in the rear for adults and a boot that is ahead of most rivals at 375 litres. Big enough for the family? 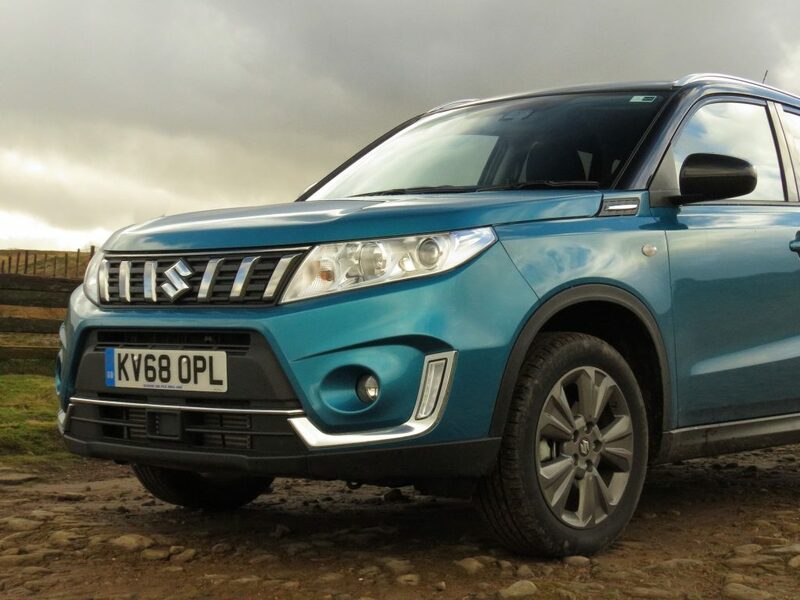 Certainly; and the Suzuki Vitara now has a raft of safety features to help keep those loved-ones safe too with the likes of a Forward Detection System, Blind Spot Monitoring, Dual Sensor Brake Support and Lane Departure Prevention (dependent on model). 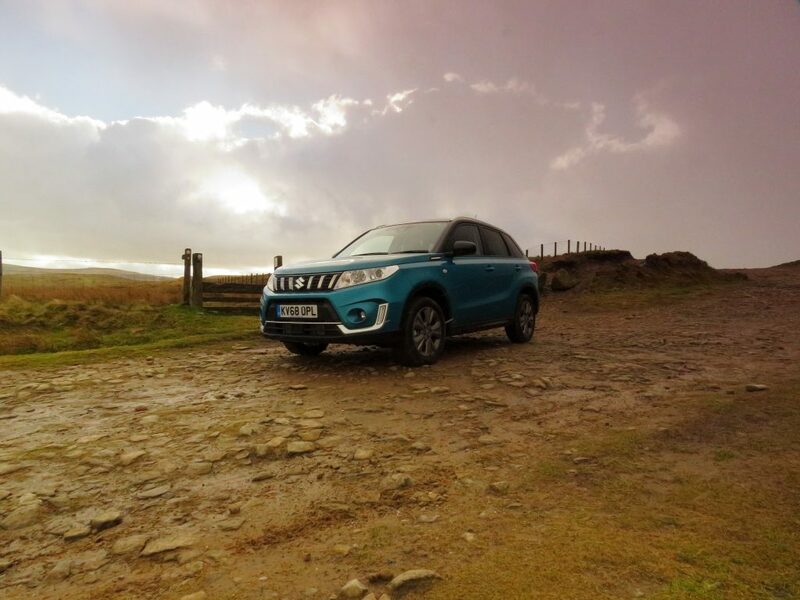 So, in this price bracket it’s a case of “Meet the new boss, same as the old boss” as the Vitara is the ultimate all-rounder in the compact SUV class and with the new engine line-up it makes more sense than ever.